Growing up, my Grandma’s Old Fashioned Ice Box Cake was my all-time favorite. This was a staple at Grandma’s house almost every Sunday after a large homemade pasta dinner. 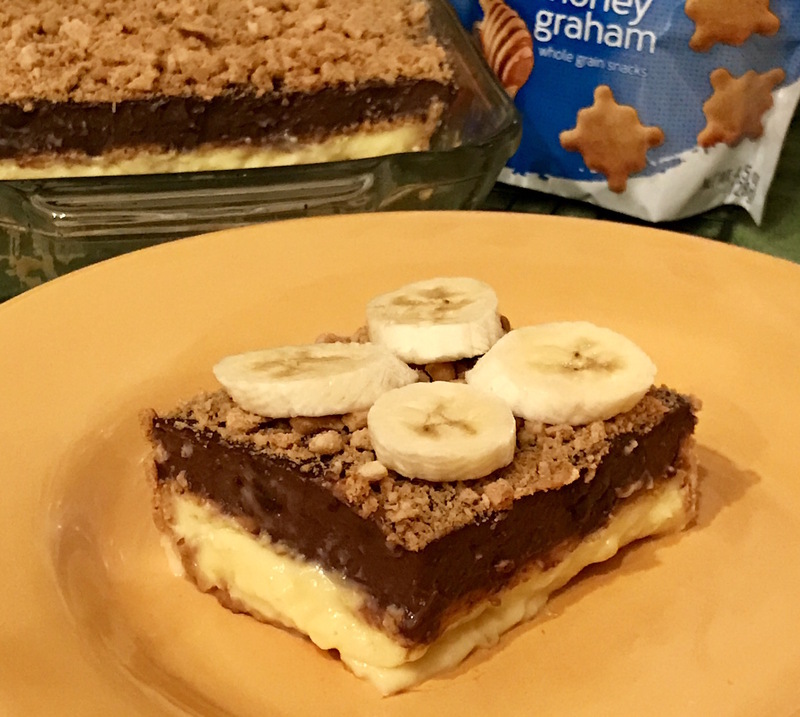 Since going gluten-free in 2013, for health reasons, I have been looking for good graham crackers to recreate this wonderful recipe. I was thrilled to see that Three Bakers now offered a gluten-free graham cracker! Recreating this recipe brought back so many memories. My husband ate two huge pieces. He obviously loved it too. 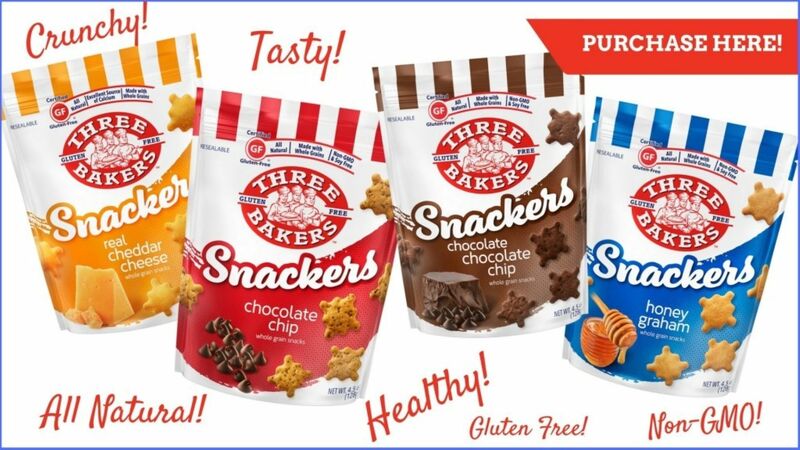 Three Bakers Honey Graham Snackers are the BEST gf graham cracker ever! So delicious! Cook vanilla pudding according to directions on box. 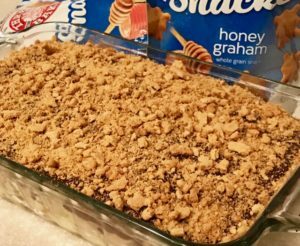 While vanilla pudding is cooking, layer snackers across bottom and sides of a 8 x 12 baking dish. Pour vanilla pudding on top of snackers, in baking dish. 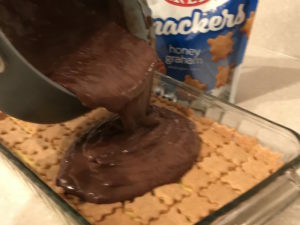 Add another layer of snackers on top of vanilla pudding. Cook chocolate pudding. When done pour on top of snackers in baking dish. Take remaining snackers and crush. Sprinkle on top of chocolate pudding. Chill for 3-4 hours before serving. Note: Bananas can be sliced and placed in between layers, served on top or on the side. I was raised in and around an Italian family. All my life I cooked and everyone around me cooked. It was my life and still is. In 2013 I had to go gluten-free for health reasons. I was devastated to learn that I can no longer enjoy bread and pasta, that I was so used to eating every day. Can you imagine an Italian girl not eating bread or pasta? During the last few years, I have experimented with all kinds of different products. Searching for a good tasting bread has been a struggle because there was not much available. I was super excited to find your rye bread while visiting CT, my home State. I was even more excited to learn your brand is available locally here in FL. It is absolutely amazing!!! !